It’s so easy to get started on your anxiety relief with most clients experiencing rapid results. 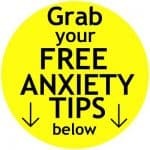 Your Free Anxiety Help Tips and more helpful information can be found below. Take control and start your anxiety relief today. One of the things you will love about the Anxiety Relief Hypnosis Program is how quickly your anxiety symptoms can start to reduce. Hypnotherapy & NLP are wonderful tools for reducing and eliminating anxiety, fast. Most of our clients find their anxiety levels start to drop during their first session of the program. Anxiety improvements continue over the coming weeks with total control happening over time. As soon as you are ready we can start working together to start your personalised Anxiety Relief Hypnosis Program. We work to replace your anxiety symptoms with new feelings of calm, relaxation and self- control. Your FREE 15 Minute Phone Session. Newcastle Hypnotherapy can help you with your anxiety & stress issues wherever you are. 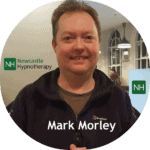 We practice hypnotherapy and NLP from several locations across the North East and also work online via video link. Enter your details below to receive your free Anxiety Newsletter. This will include powerful mind techniques to help with anxiety and stress. We are GDPR compliant and your privacy is safe. You can unsubscribe at any time. Why is the Anxiety Relief Hypnosis Program so effective? We look at all of the issues. We look at a number of factors including your diet, nutrition, allergies, intolerances, exercise, lifestyle, and other factors. Anxiety can be caused by a number of issues and we will look at all of the factors and the best way forward for you. Many of our anxiety clients come to us after finding the NHS and traditional methods are not working for them. We use a number of effective tools to conquer your anxiety including Hypnotherapy, Self-hypnosis, NLP or Neuro-Linguistic Programming, EFT or Emotional Freedom Technique, Meditation, Mindfulness, and other techniques. This means we have dozens of techniques to create a solution just for you. Many of our clients find hypnosis very effective to quickly reduce anxiety, social anxiety, and even severe anxiety symptoms. We find just a few small changes in your behavior can quickly reduce anxiety attacks and start to rebuild your confidence. Once you have started the Anxiety Relief Hypnosis Program, you will learn simple techniques, giving you new control over your anxiety issues, putting you back in control to turn down your anxiety levels and stress levels on demand. We can start working together in a number of ways to start your anxiety relief hypnosis program, putting you back in control of anxiety. As anxiety can be very different for each person, we tailor our Anxiety Relief Program to you. One of the things you will love is that we can bring relief quickly and start replacing those feelings of anxiety with feelings of relaxation, being in control and happiness. We also teach you some great skills to put you back in control and take charge of your anxiety symptoms. Call us on 07568 455 809 to discuss which of these options is best for you. How Does The Anxiety Relief Program Work? The first thing we do is arrange a session to evaluate your anxiety and your anxiety symptoms, how strong it can be and which triggers bring on your anxiety. We usually find anxiety is linked to a number of issues or triggers and we can tackle one issue at a time, starting with the most serious first. As we deal with each issue we also teach you self-hypnosis to replace the feelings of anxiety with feelings of relaxation and control. Once we have dealt with the most serious issue the rest is usually easier to deal with. The aim of this program is to put you back in control and allow you to take control of your life, with all the support and help you need from us. The program is tailored to you in many ways depending on how quickly you wish to progress and which issues you wish to take charge of first. Call 07568 455 809 Today, for your free, confidential phone session and start taking charge of your anxiety now. How does anxiety make your life uncomfortable? Anxiety is different to stress as often the cause is unclear or can take a little time to understand. With a little work, we can create awareness of your cause of anxiety and show you how to take control. Thankfully the more we work on your anxiety and you practice your new skills, your anxiety symptoms should decrease as we replace them with feelings of well-being, self-confidence, and relaxation. Over time we can increase these positive feelings and the feelings of anxiety will decrease. The anxiety relief hypnosis program will help with these anxiety symptoms. Can Self-Hypnosis & NLP Help With Anxiety? Certainly. Self-Hypnosis is a powerful set of tools that can really help us to calm down, improve our awareness and relax very quickly. Once we have learned these skills we can do this anytime, anywhere. NLP – Neuro-linguistic programming is also very powerful with anxiety and also allows us to become aware of our habitual patterns. We can then assess which of these patterns, behaviors, and habits are unwanted and replace them with new ones. 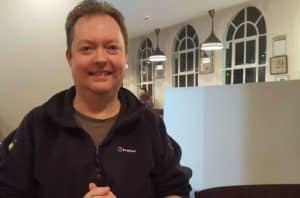 The benefit of using both self-hypnosis and NLP together is that we have many tools and techniques at our disposal and supercharging the desired results. Can Anxiety Be Linked To Other Problems? Yes. It is very common that when we address other issues and challenges that often anxiety and stress are making things worse. For example, when clients are struggling with weight loss or trying to stop smoking, anxiety and stress can be making the issues much worse or hampering positive change. 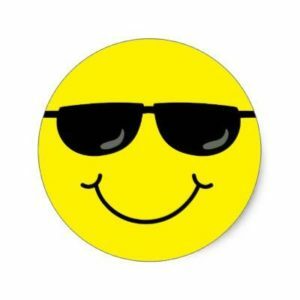 As a result, we often use techniques and tools to reduce stress and anxiety quickly while dealing with your chosen outcomes and it is better to feel relaxed and calm to help you achieve your goals. The anxiety relief hypnosis program will certainly help. Are you now ready to take charge of your Anxiety today and discover a life without anxiety? Call 07568 455 809 Today, For Your Free, Confidential Phone Consultation. Talk with us about the Anxiety Relief Hypnosis Program. You can Contact Us or give us a call on 07568 455 809. Please let us know the best time to call you back and we can answer all of your questions about anxiety and how this hypnosis program can help you. We are asked many questions about anxiety, anxiety attacks, anxiety symptoms, panic attacks, and hypnosis. Here are just some of them. Feel free to contact us if you have any others. What are the benefits of hypnosis for anxiety? Hypnotherapy allows us to quickly modify the anxiety triggers, behaviors and habits to replace them with better responses. These can be feeling calm, comfortable, self-confidence and happiness. Who can be affected by Anxiety? Our anxiety clients come from every walk of life. We have helped many NHS professionals, business owners, parents, school teachers, shop workers, executives and many others. Anxiety can affect everyone and the key to success is to take control of your anxiety. How quickly will hypnotherapy help my anxiety? Everyone is different and most of our clients find their anxiety symptoms quickly drop during the first session of the program. As you learn to control your anxiety, the results will get more effective over time. Is hypnosis the only way to deal with anxiety? No. Hypnosis and Self-Hypnosis are very useful tools that are often perfect for dealing with anxiety. Other modern techniques can be just as powerful. A good hypnotist will be experienced and trained in other techniques such as Neuro-linguistic programming (NLP), Emotional Freedom Technique (EFT), Mindfulness and more. If a client is resistant or uncomfortable with hypnotherapy we have plenty of other options to choose from. Is diet important with anxiety? Yes, it can be. Certain foods are thought to make anxiety worse. Food intolerances and allergies can also have an effect on mental health or anxiety. We do look at diet, nutrition, and lifestyle to see if improvements can be made to reduce anxiety and other problems. Is anxiety becoming more common & if so why? Anxiety is becoming more common than it used to be and there are many thoughts on why this is. We know anxiety is simply a learned pattern or habit and easily picked up from others. Our current busy lifestyles, social media, TV & news programming can also lead to increased anxiety. The good news is we can replace these patterns and habits with better ones and leave the anxiety symptoms behind. Will premade hypnosis recordings help with anxiety? They may help with mild anxiety however, anxiety and anxiety triggers can be very different for every client we work with. Our clients do find excellent results with the anxiety relief hypnosis program as we do tailor this to each individual client. As part of this program, we will create a personal hypnosis audio track just for you. By using this track on a regular basis you will usually experience faster results. Should I still take my anxiety medication when using hypnotherapy? Yes. We are professional hypnotherapy practitioners and unable to advise you on the use of your medication. The anxiety relief hypnosis program will not affect your anxiety medication. Once your anxiety symptoms reduce and you feel confident, we would advise you speak to your doctor about your medication. We are always happy to work with your doctor to achieve the best results for you. Will learning Self-Hypnosis help with anxiety? Self-Hypnosis is very useful for anxiety problems as it helps you to control your feelings. As part of the anxiety relief hypnosis program, we will teach you some great self-hypnosis skills. These will allow you to take control of your anxiety and to change your feelings as you wish. We also run workshops and events to learn self-hypnosis. Click Here To Learn More about these events. 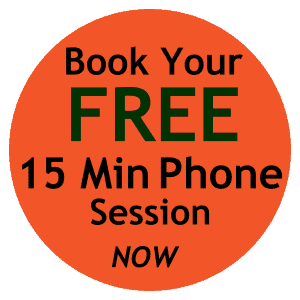 Your first step to beating your anxiety is to arrange your Free 15 min phone session. Here we can discuss your anxiety issues and explore if hypnotherapy is the right method to take charge of your anxiety. You can have all of your questions answered and decide if you wish to go ahead to take charge of your issues. Call 07568 455 809 today to take your first steps.